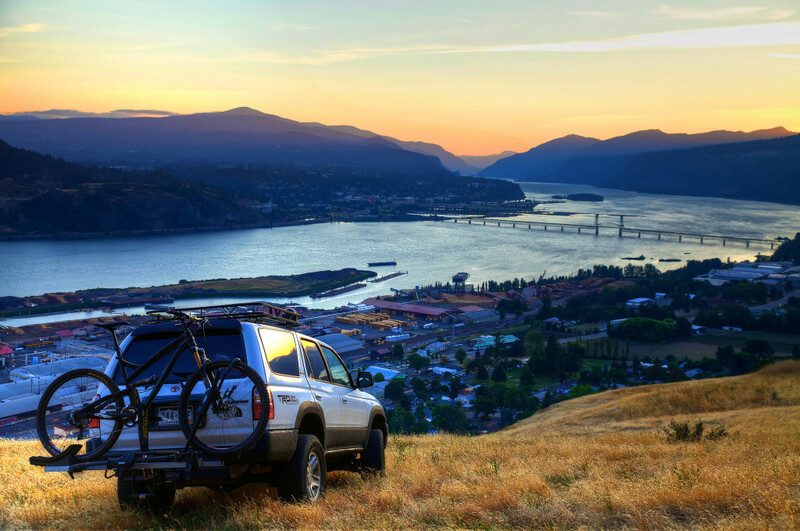 With the weather getting warmer and the school year quickly coming to an end, you can often find college students already planning road trips to visit all their new friends this summer (because let’s be honest, you can’t survive three months without them). But before we reach our destinations, we have a lot of planning to do. Classic car rides filled with fast-food pit stops and mindless handfuls of potato chips aren’t exactly the best way to treat our bodies leading up to a quick reunion… especially since the freshman 15 is now a thing of the past. We’re college students, not moms, and we’re still broke, so I don’t expect any of us to be packing fresh fruits and vegetables in ziplock bags for the ride. But don’t worry, there are other ways to stay healthy on those long road trips. Try eating these road trip snacks instead to stay full while also maintaining a nutritious diet. 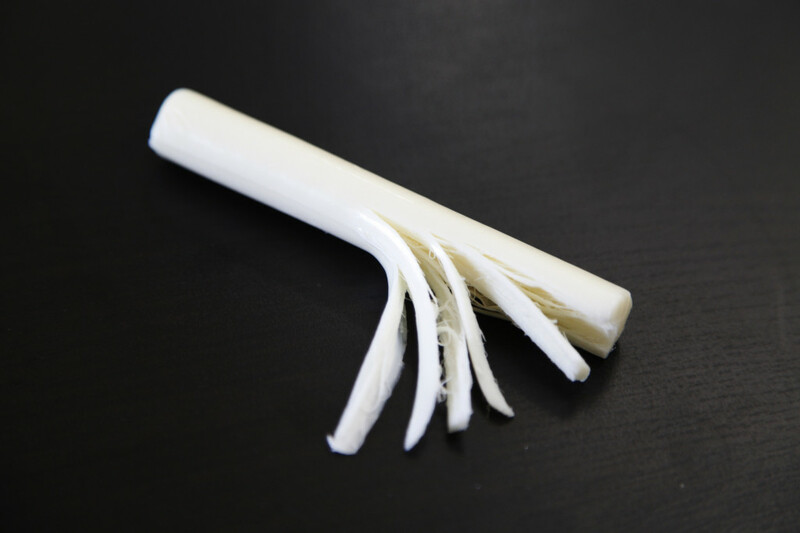 Whether you like to pull them apart string by string or devour them in two big bites, cheese sticks are small, easy to eat, and can be made from just about any variety of cheese you can buy. They’re the perfect snack on the go. Added bonus: they leave no mess in the car. 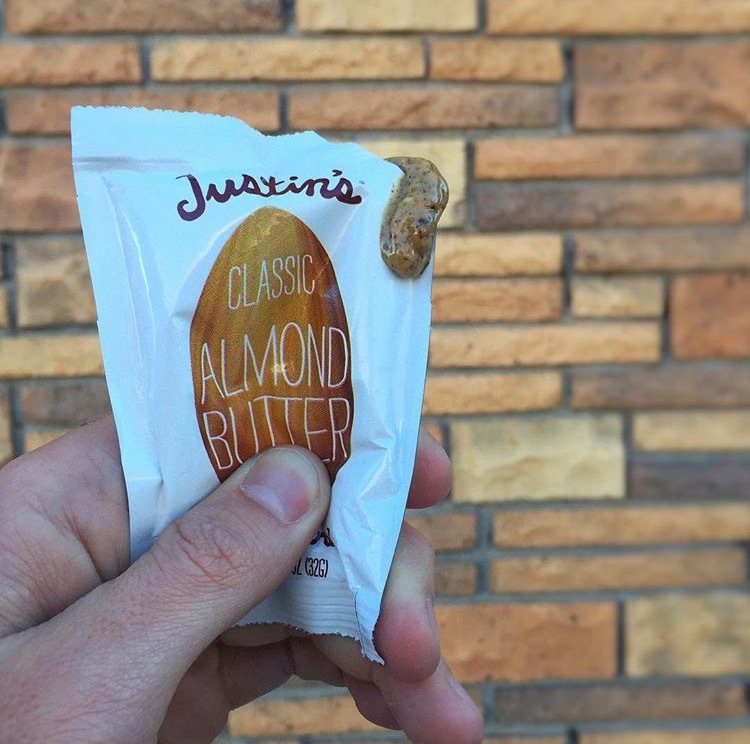 Justin’s Nut Butter offers peanut and almond nut butter packets that have been enhanced with honey, salt, and sometimes even chocolate. These high protein and uber flavorful nut butter packs are the perfect way to satisfy your sweet tooth while avoiding the super sugary and fat-filled alternatives. Luna bars? Cliff bars? 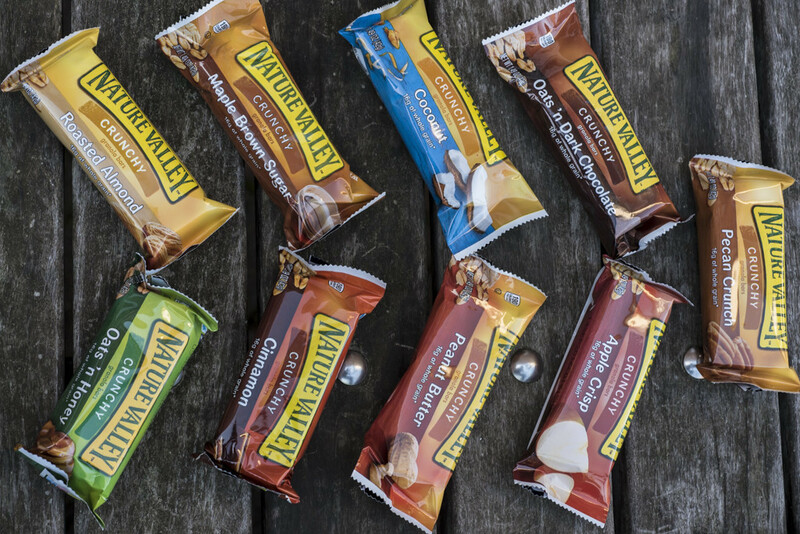 Nature Valley bars? Chia Bars? Homemade bars? You pick. With so many options, how could you go wrong? For all you gluten-free people out there, this one’s for you. 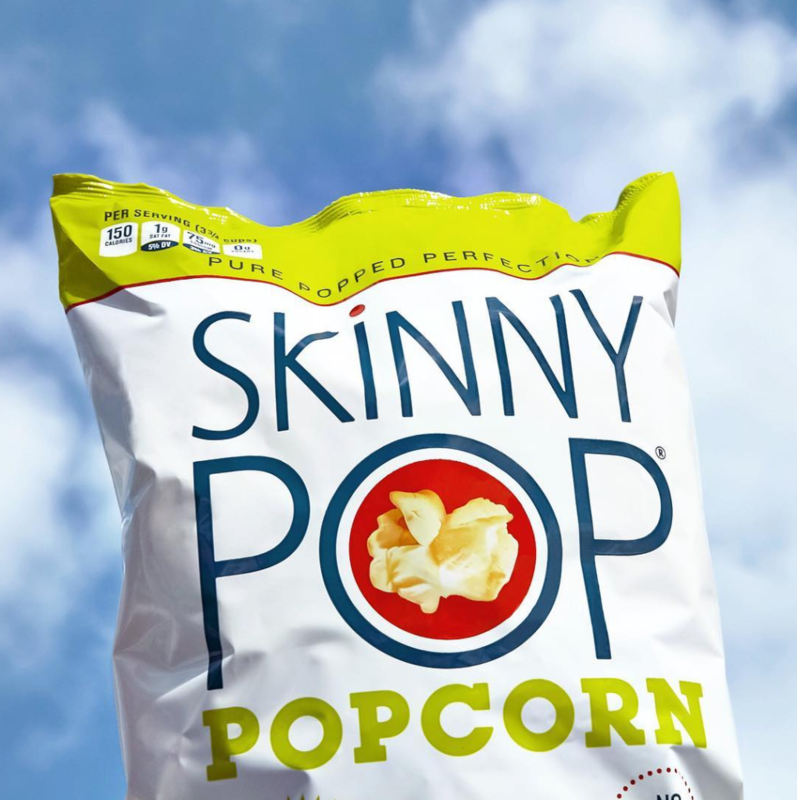 Eating Skinny Pop gives you the feeling that you’re indulging in something unhealthy, but you’re really not. It has no ingredients that you can’t pronounce, yet it still has all the same great taste. Instead of butter, it’s flavored with sunflower oils, so it’s a snack you can still feel good about. Because everybody loves to feel like a 5-year-old again. GoGo SqueeZ is the most fun way to eat applesauce. Gluten-free, dairy-free, Kosher certified, and made with no artificial preservatives, these squeezable applesauce packets are great for everybody. 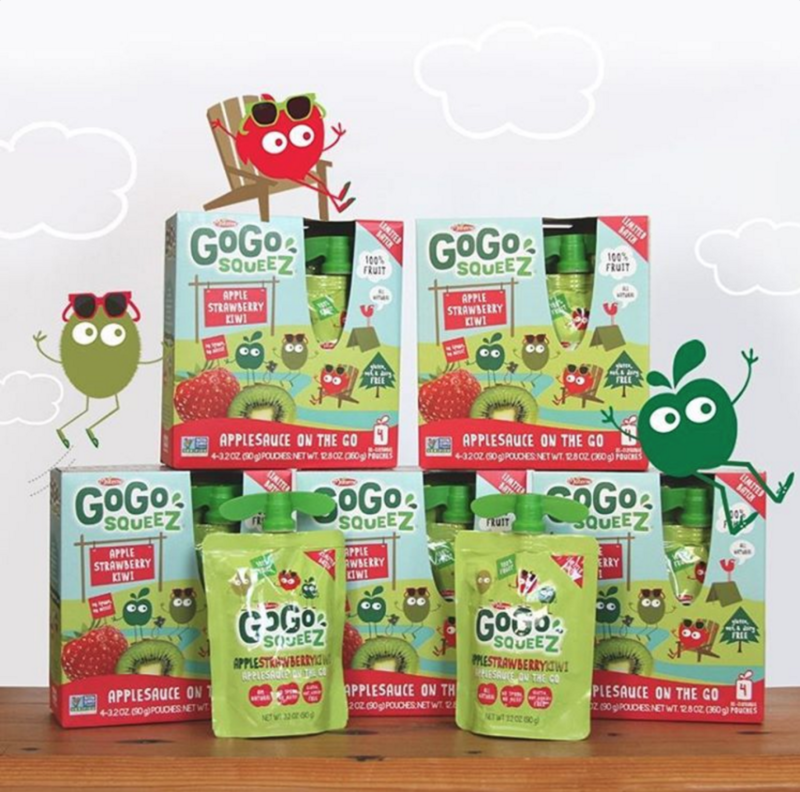 Each GoGo SqueeZ pouch is made with 100% fruit. Fun fact: The GoGo SqueeZ pouch actually uses packaging technology that was originally designed for NASA astronauts. When you hear the word “chip,” don’t you usually think of greasy, fried and nutrition-less? Well, good news — here is a health-conscious chip you can feel good about eating. 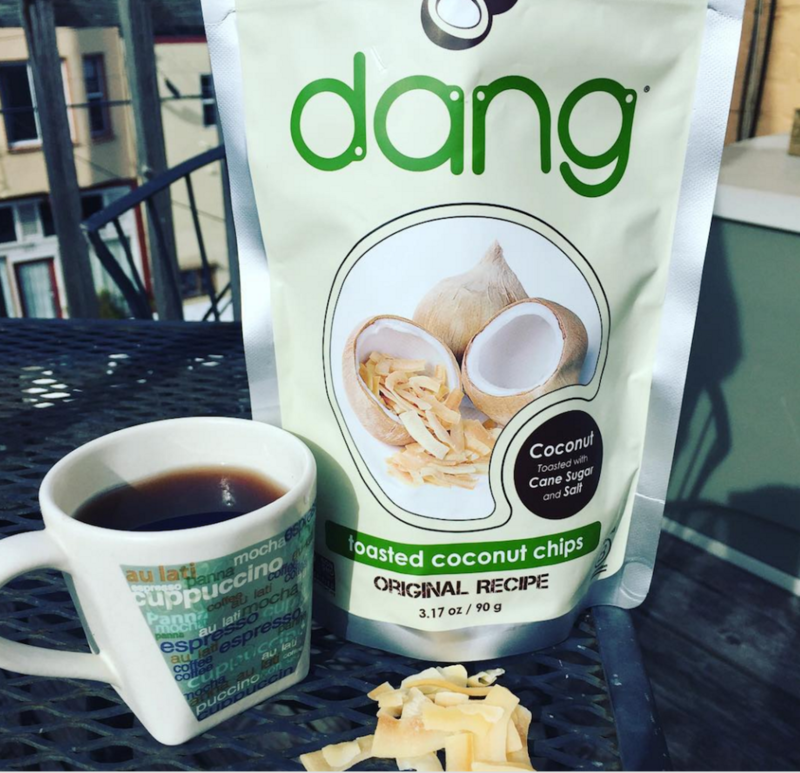 Dang is a family-run company that “runs on love and coconuts.” Their chips are non-GMO, vegan, a good source of fiber, and free of gluten and cholesterol. But just wait, it gets better. Coconuts have also been shown to be a great immunity booster (something we’re all going to need during summer). Want more coconut? Grab some coconut water or chocolate dipped coconut macaroons. Everyone wants an excuse to eat some chocolate, and lucky for you, dark chocolate has been found to improve health, lower the risk of heart disease and improve the function of the brain. Dark chocolate is made from the seed of the cocoa tree, which is an awesome source of antioxidants. 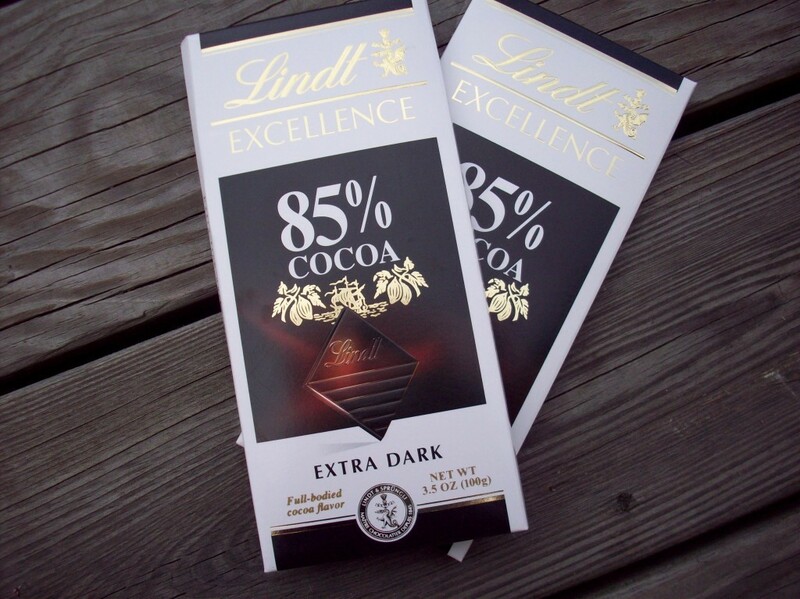 Another added bonus is that the bioactive compounds in dark chocolate may also be great for your skin. Dark chocolate is filled with flavonols that can actually help improve blood flow to your skin and protect it against damage caused by the sun, so those sunburns you come home with won’t be quite as bad. 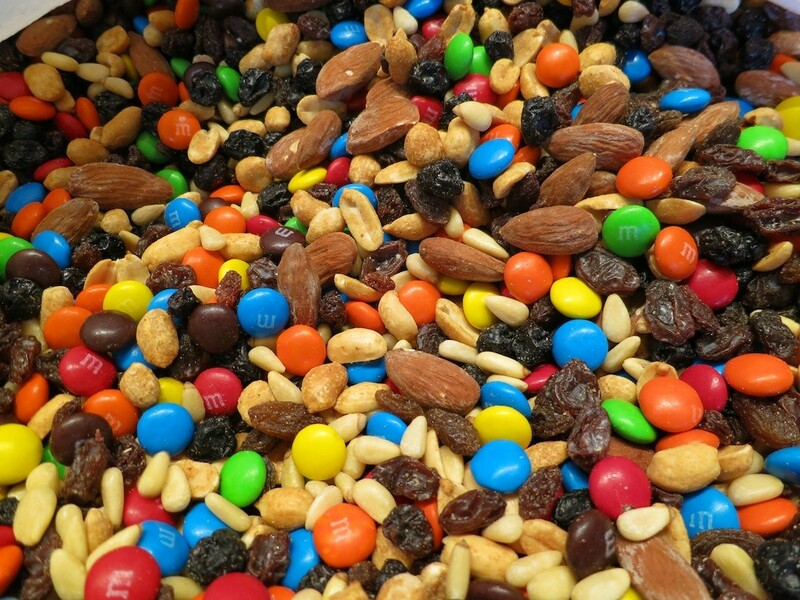 Trail mix is the perfect snack for road trips. Since it’s filled with such a variety of things, there’s bound to be something for everyone in the car. If you’re feeling ambitious and want to make your own, check out these recipes. 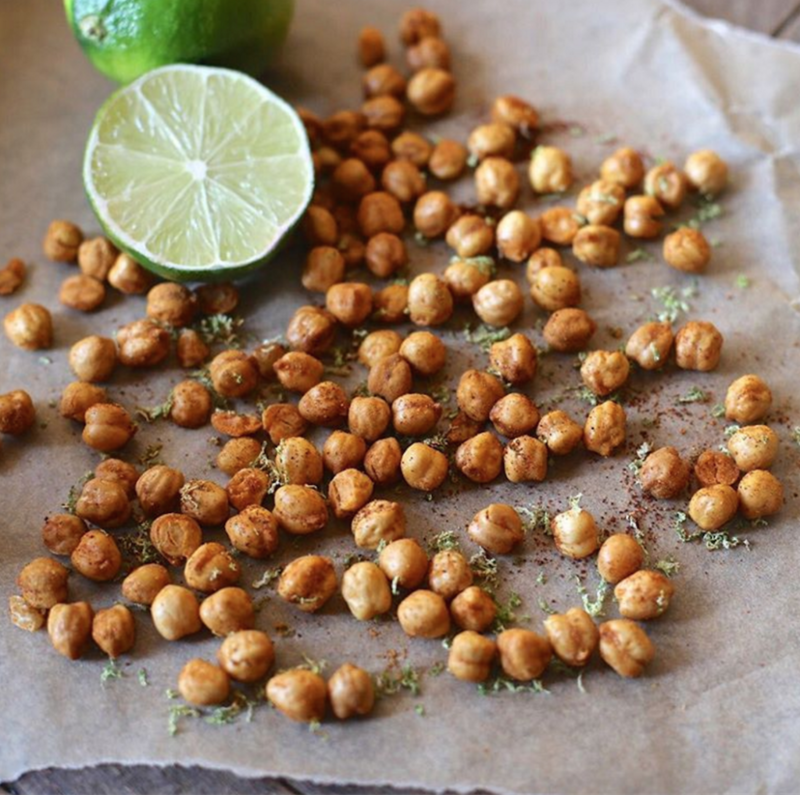 Chickpeas become a crispy and savory snack when roasted. From spicy cayenne to tomato basil or simple sea salt, you can find a flavor to fit your mood. Roasted chickpeas are the perfect way to mix it up on your long road trip. Learn how to roast ’em yourself here. 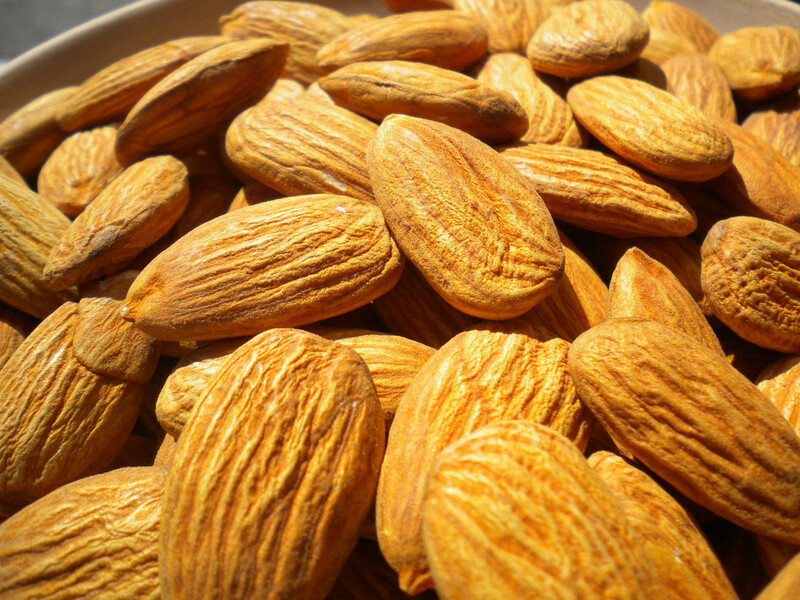 Almonds are a tasty and nutritious snack with plenty of health benefits. They are rich in vitamin E, calcium, magnesium, potassium and are a great source of protein and fiber. It also only takes a handful to keep you feeling full, so you won’t have the urge to stick your hand in that huge bag of potato chips you’ve been day dreaming about for the last two hours. Can’t get enough nuts? Try out East Bali Cashew products for a healthy snack you can feel proud of eating.